1. Appreciate Lei: Lei have have been used by Hawaiians since the early Polynesian settlers wore them, and chiefs would exchange them as symbols of peace between groups. So, they have deep cultural significance. If someone gives you a lei, etiquette dictates that you accept it and wear it as long as you’re in the presence of the giver. If you don’t know how to position the lei, here’s what to do: Wear it around your neck, with the flowers hanging down in both the front and back. And, please don’t play with it by putting it on your head or wrapping it around your wrist as a bracelet. If someone is pregnant, DON’T offer them a lei, as it’s considered bad luck to wear one (it symbolizes the umbilical cord getting wrapped around the baby’s neck). If you’re pregnant and believe it a lei’s bad luck potential, politely decline and say, “I’m hapai (pregnant). The lei-offerer will understand. When offered a lei, accept it with gratitude (unless you're pregnant) and wear it properly. 2. Respect Sacred Sites: You’ll find that cultural sites are just about everywhere in Hawaii, whether it’s a temple, rock wall with petroglyphs, or carvings created by ancient Hawaiians. It’s crucial that you respect these sites by speaking and walking quietly in these areas. Always strive to leave the site the same as you found it, and don’t leave trash behind. Extend your respect to the local wildlife and landscape; something as simple as picking a flower or rearranging some rocks to spell out your name can be interpreted as disrespectful. 3. 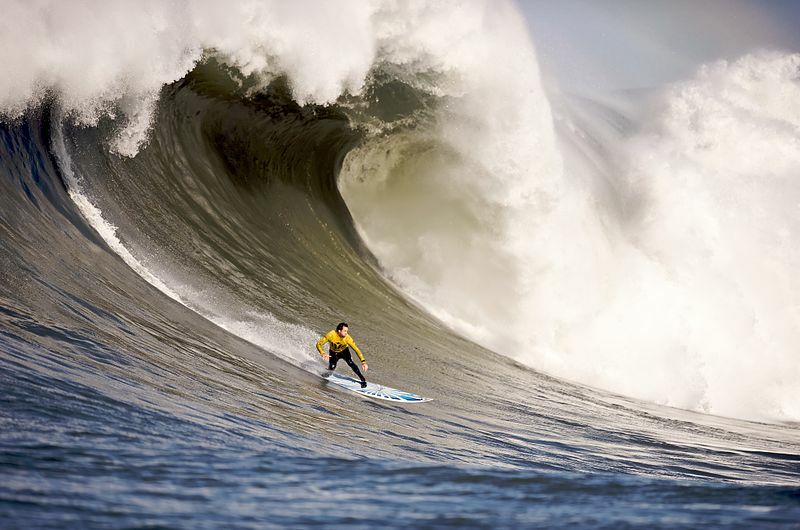 Surf Like a Local: We applaud anyone who is willing to get out and try to learn how to surf. But, be sure to stay out of the way of the more serious surfers (you’ll know who they are). When you’re ready to try it on your own, wait in line behind the other surfers and don’t try to catch the first wave. Wait until everyone ahead of you has ridden waves back toward shore, then take your turn. Always stay out of the way of local surfers, and be careful of others on the beach and in the water. 4. Respect the Kupuna: Hawaiian people have great respect for their kupuna (elders), and you should make an effort to do so as well. Let older people go in front of you and hold doors open for them. If you’ore sitting down, and an elderly person shows up, consider offering him/her your seat. This isn’t quite as popular as I remember years ago, but showing deference to seniors will win you points no matter what the situation. 5. Know Aloha and Mahalo: If you learn only two Hawaiian words while you’re here, make them “Aloha” and “Mahalo.” “Aloha” has many meanings, but you’ll probably use it to mean Hello and Good-bye. Mahalo means “thank you,” and many locals appreciate when visitors say something polite, not to mention saying something polite in Hawaiian! When you book any one of the Hawaii Activities through Hawaii Aloha Travel, you’ll likely find yourself in the presence of a local. Impress him/her with your language skills! If you're planning to do some surfing when in Hawaii, make sure you stay out of the way of the serious surfers and wait your turn in line. 6. Take Off Your Shoes: Hawaii locals can be so friendly, you just might find yourself invited into someone else’s home. If that happens, remove your shoes before you enter. The tradition stems from Japanese immigrants who brought the custom to Hawaii. And, if you see a line of shoes, make sure you put your shoes neatly in line. In many homes, you’ll see a line of shoes right outside the door. 7. Be a Courteous Driver: This was the hardest one for me to adopt, but I’m getting the hang of it. When you drive in Hawaii, try your best to leave your aggressive traffic behaviors behind. Drivers here typically don’t use their horns, and most people are gracious about allowing other drivers to ease in front of them in traffic. 8. Know What You Can Take: I KNOW you don’t want bad luck. So, avoid doing things that may bring it to you. Don’t take lava rocks or black sand from Hawaii. According to tradition, they’ll bring you bad luck. I have heard of some people mailing said items back to Hawaii after they, indeed, did bring bad luck. Whether that changed things, I don’t know! 9. Respect Hawaii Wildlife:Not only is touching endangered animals against the law, it also goes against Hawaiian tradition. Be respectful of Hawaiian wildlife, and don’t approach endangered species such as sea turtles, monk seals, and humpback whales. 10. Honor Hula: Understand that hula is far more than just a dance to entertain tourists. It’s an expression of local culture and tradition. If you find yourself in an environment where a hula is performed, don’t be afraid to get up and join in on the fun. But, be sure not to “mock” the dance or dancers. Hula is a real, significant, and powerful art, and people here take it very seriously. Out in the middle of the Pacific Ocean, Hawaii and its people have developed specific customs over time, and it’s important to know how to conduct yourself when you’re here. So, take heed of these Hawaii etiquette tips, and you’ll fit right in when you’re here!